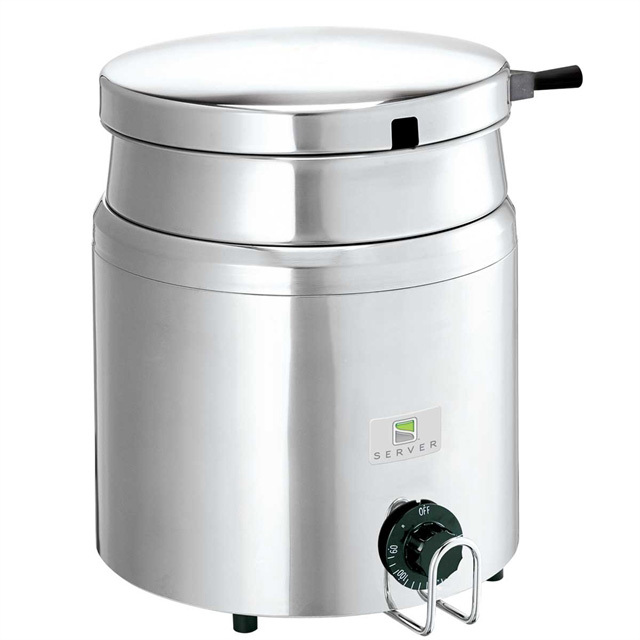 The FS-7 is a warmer/cooker that is constructed of stainless steel with a stainless steel water vessel as well. 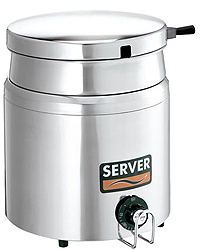 An adjustable thermostat, with degree markings, exlusive hinged lid and water bath design keep your prduct at the perfect serving temperature. Server warmers feature a thermostat that senses food temperature and turns the 1000-watt heating element on or off as needed to eliminate burning or scorching.